Although natural gas prices in New England at the Algonquin City Gate trading hub (Boston) spiked a few times this past winter, they didn’t spike anywhere near as much as the previous winter. In January 2018, prices at Algonquin spiked to $78.98/thousand cubic feet (see New England’s Lack of Pipelines = Most Expensive Gas in the WORLD). In January 2019, prices at Algonquin never got over $13.56/Mcf. The difference? Foreign LNG imports. NatGas Sellers at Waha Hub *Pay* Buyers up to $5/Mcf to Take Gas! This is nuts! This is insane! Because of overproduction, lack of pipelines, and an existing pipeline down for maintenance, natural gas sellers at the Waha natural gas trading hub (in West Texas) are actually paying buyers to take the gas off their hands–up to an amazing $5 per thousand cubic feet!!!! Reuters is reporting that the price of natural gas selling at the Waha Hub in the Permian Basin (West Texas) averaged just $0.12 (12 cents) per thousand cubic feet (Mcf) yesterday, a new record low. But wait! MDN reported last November the price at Waha had hit minus 1 cent/Mcf–people paying someone else to take their gas (see Permian Gas at Waha Hub Briefly Trades at $0, Implications for M-U). True–but that was for a three-hour period last November. Yesterday’s low price was the average for the entire day. The folks at Argus Media have done an analysis of the number of shale well permits issued in Pennsylvania for January 2019. The numbers show the number of new permits issued during January were up 72% from the number issued in December 2018, but down 11% from the number of permits issued in January 2018, one year earlier. Can we divine anything from this mixed bag of numbers? Sorry to burst your bubble, all you gas bulls who believe low storage numbers + weather (hot or cold) = high natgas prices for the long term. Antero Resources, one of the biggest drillers in the Marcellus/Utica, is also one of the best hedging companies in the business. They routinely lock in prices for their gas up to a year (or more) in advance, to ensure they make a tidy profit. And Antero averages higher prices for their gas sales than just about any other Marcellus/Utica producer. This morning Antero issued an update on their latest hedging moves, which is always interesting. But that’s not what caught our eye. They also issued a fourth quarter update. No, not for the entire fourth quarter as we still have a few weeks left in 4Q and the full, official 4Q update won’t come along until maybe the end of January. 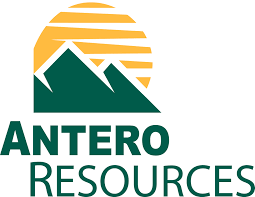 But in this interim 4Q update, we spotted the news that because of the addition of the Rover Pipeline, Antero now sells a full 30% (up from 16%) of their natural gas production to Midwest markets–markets that pay, on average, more for gas than elsewhere. MDN has run a number of stories on the recent wild fluctuations in the price of natural gas. As we always explain, there is no one “price” of natgas for everyone–but there is the Henry Hub price, which is used for trading futures contracts (NYMEX). That price is watched like a hawk by everyone who trades natural gas. A casual observer of the market might think, based on media coverage, that the swings in the NYMEX price mean something bad. Negative. “The price I’ll pay this winter will go high, and it will stay high, and the shale “revolution” was always just a mirage and this proves it!” Whew. Take a chill pill. The chief economist for the American Petroleum Institute recently penned what we call a natgas price explainer, looking at the recent spikes in the price, providing context for understanding that the price we pay for gas is still, on average, at historic lows. And no, the sky is not falling. The evidence continues to pour in that the addition of Williams’ Atlantic Sunrise Pipeline, a 200-mile greenfield pipeline from northeastern to southeastern PA where it joins the Transco Pipeline, is having a dramatic and ongoing effect on natural gas prices in northeastern PA. As in, the price drillers get for their gas has doubled. Atlantic Sunrise went online in early October (see FERC Approves Atlantic Sunrise for Startup! Pipe Opens Sat. Oct. 6). The main shipper on Atlantic Sunrise is Cabot Oil & Gas. But Cabot isn’t the only shipper, and not the only beneficiary, of higher prices. Seneca Resources and Range Resources are also shipping gas on Atlantic Sunrise, and reaping the price benefits. This one will make your head explode. We’ve been warning about this for some time, or rather, RBN Energy has been warning about it (and we’ve brought you their warnings). During a recent three hour period of natural gas trading at the Waha Hub (in West Texas), the price of gas went to negative 1 cent per thousand cubic feet (Mcf). You read that right. Someone was paying someone else to buy the gas from them! Why? Too much “associated gas” being produced in the prolific Permian Basin, and not enough pipelines to carry it to other markets. The Permian is all about oil drilling. Natural gas is a byproduct, to the point it may be worth giving it away for free just to get rid of it so a driller can keep pumping oil. The proliferation of natgas in the region is driving prices into the subbasement. We’re not going to continue to cover news about the price of natural gas each day, because the price goes up, then it goes down, then it goes back up…you get the idea. We will, however, bring you one more story today on the price of natgas, because of the ongoing wild swings in price. The fact that prices goes up and down is not mysterious and frankly, not noteworthy. What is noteworthy is the sudden and dramatic swings–called volatility in the business. Last Wednesday the NYMEX futures price for gas hit a four-year high, up 18% in a single day (see Price of NatGas Spikes to Highest Level in 4 Years – $4.84/Mcf). The very next day the price crashed, down 20% in a single day from the previous day (see Wild Ride – Price of NatGas Crashes Day After it Spikes, Down 20%). The price stayed “low” relative to the previous high for a few days, then spiked up again yesterday, going up 9% to close at $4.70/Mcf. Arctic cold weather is hitting the northeast, combined with somewhat low storage levels, leading to a bump up in price. What lies ahead over the next few days and months? One analyst believes we’ll see prices close to or even above $5/Mcf–tomorrow. Yesterday MDN brought you the news that the price of the NYMEX natural gas futures contract closed (on Wednesday) at a four-year high, up 18% (see Price of NatGas Spikes to Highest Level in 4 Years – $4.84/Mcf). We said this in our closing comments: “We maintain the jump in prices is due to psychology more than reality. If traders believe there’s about to be a shortage, they react. In a sense, they panic. And the cycle feeds itself. Until the prices come crashing back down in a few days or weeks.” It took exactly one day. Yesterday the same futures contract (the price of gas at the Henry Hub) closed down $0.80 to $4.04/Mcf–a 20% drop! The day before it went up 18%, next day, down 20%. Day before was the biggest one-day increase in 14 years, yesterday the biggest one-day decrease in 15 years. Help! Let us off this roller coaster! From even a cursory glance at news over the past 24 hours it would be hard to miss the stories blaring the trumpets that the price of natural gas closed at a 4+ year high yesterday (NYMEX futures price closed at $4.84/Mcf), and that the price jumped an amazing 18% in a single day–the biggest jump in 14 years! The primary reason, according to news reports and interviews with traders, is low stockpiles (low storage) combined with short-term weather forecasts for colder weather in the northeast. Indeed, as we write this (sitting in Binghamton, NY), we await the arrival, in a few hours, of an early winter snowstorm of proportions usually not seen until the dead of winter. Some 3-7 inches of snow on the way, more in the higher elevations. The system will affect most northeastern states. Crank up the gas heat! The bazillion dollar question is: How long will the price of gas stay “high”–by which we mean over $3.25/Mcf? Since our lead story today is about the spike up in the price of natural gas (see Price of NatGas Spikes to Highest Level in 4 Years – $4.84/Mcf), we thought it fitting to bring you a related story that caught our eye–on the price of natgas in Pennsylvania. For years PA, especially the dry gas northeast, has been plagued with some of the lowest natural gas prices in the U.S. Why? Prolific production and not enough pipelines to get all that production to higher-paying markets. The situation is changing, rapidly. Prices in the northeast Marcellus are catching up with the Henry Hub price in southern Louisiana, thanks to multiple pipelines coming online. What does it all mean for Pennsylvanians? Again We Ask: Can Dominion South Replace Henry Hub as Benchmark? More than four years ago MDN posed the question, could an alternate trading hub like Dominion South in Pennsylvania ever replace the venerable Henry Hub trading hub in Louisiana as the world benchmark (see Will ‘Dominion South’ Replace ‘Henry Hub’ for Natgas Pricing?). We said this at the time: “Will Dominion South or another northeast delivery point rise to become the new pricing benchmark–replacing the venerable Henry Hub? Probably not anytime soon. The Henry Hub is just so entrenched. But in time, who knows?” More than a year ago, in 2017, we brought you news that more and more gas traders are using northeast trading hubs, rather than Henry Hub (see Gas Traders Go After M-U’s Local Hubs for Higher Returns). And what’s this? A new article on Bloomberg that says the Marcellus/Utica is changing the way U.S. gas traders buy and sell–that traders do more business in our region than elsewhere. So once again we ask the question, Is Dominion South the new Henry Hub? “Come on Jim, quit writing so much about pipelines! Write more about upstream/drilling!” We have had MDN subscribers tell us that (no lie). But here’s the thing: What happens with pipelines *directly* affects what happens with drilling–the willingness of companies to drill more. Case in point: Over the past few weeks two new pipelines have come online: Williams’ Atlantic Sunrise and DTE Energy’s NEXUS. More capacity along Energy Transfer’s recently completed Rover also recently came online. The effect of the three combined has been dramatic. Production volumes have shot up another 1 Bcf (billion cubic feet) in the past month, to over 30 Bcf/d. And get this: While the Appalachian spot price for gas was $1/Mcf (thousand cubic feet) on Oct. 8 ($2 *below* the Henry Hub price), on Oct. 24 the Appalachian price was averaging $3/Mcf! Just 12 cents below Henry. A movement of $2/Mcf! Behold the power of pipelines and why we write about them so much.